Home > In the Kitchen > Chopsticks > Chopsticks Stainless Steel 5pr. 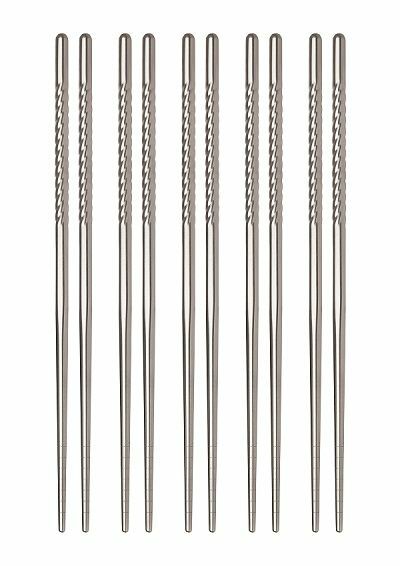 Stainless steel chopsticks 9". Hollow stainless steel is lightweight and won't transfer heat from hot foods to hands. Spiraled non-slip handles and gently notched tips make picking up, and holding onto foods easier. Dishwasher safe. Set of 5 pairs.